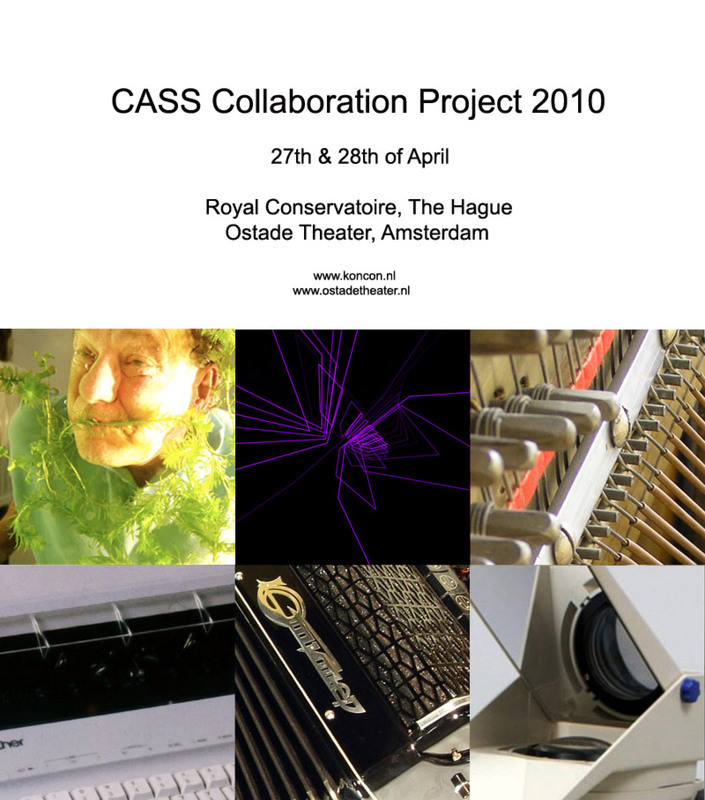 In 2010 Bardo Frings took part in the very first CASS collaboration project. In this project several small groups of students from the Composition, ArtScience and Sonology departments of the Royal Conservatory and the Royal Academy of Art in The Hague work together to create different works. Frings worked together with Michalis Paraskakis and Fani Konstantinidouto create a performance consisting of live improvisation with accordion, real-time electronics and visuals. With a controlled improvisational form, possible symbiotic relations between the acoustic and electronic domain were being explored.